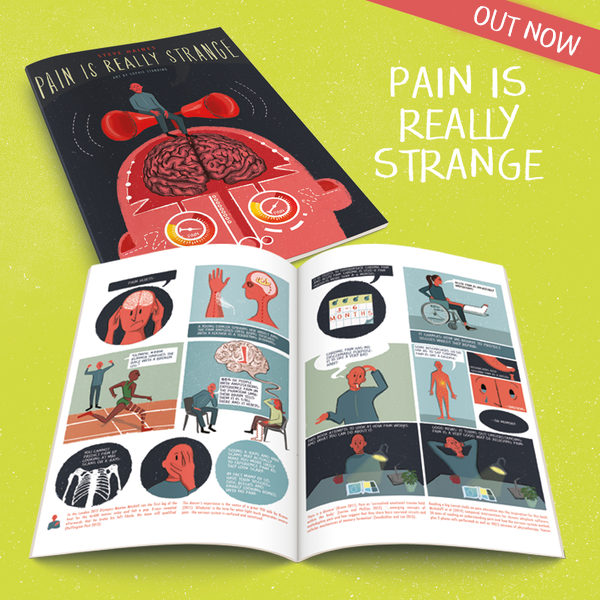 Pain Is Really Strange | This short research-based graphic book reveals just how strange pain is and explains how understanding it is often the key to relieving its effects. 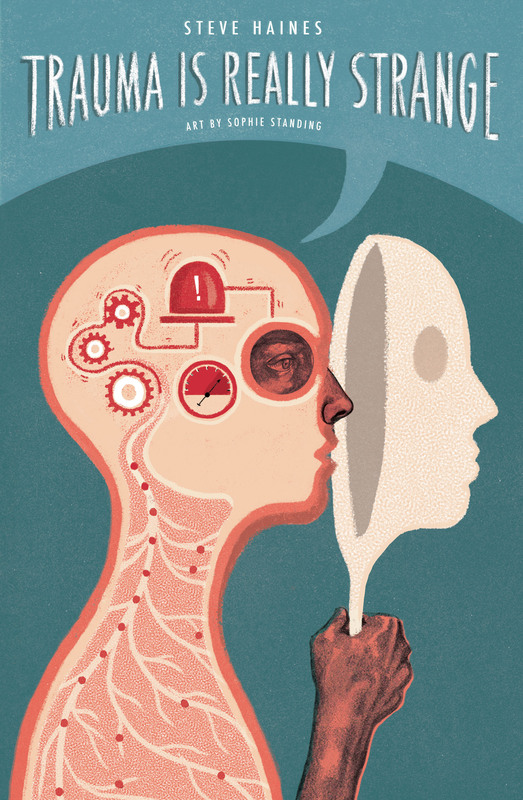 this short research-based graphic book reveals just how strange pain is and explains how understanding it is often the key to relieving its effects. Studies have shown that understanding how pain is created and maintained by the nervous system can significantly lessen the pain you experience. This highly original, gently humorous book explains pain in an easy-to-understand, engaging graphic format and reveals how you can change your mind’s habits to relieve your pain. Safety and Embodiment Change Pain from Steve Haines on Vimeo. Really, really (really) looking forward to this book, Steve. The modules you taught in Australia & NZ transformed my BCST practice – my clients are much more satisfied, I see much quicker and deeper results – and I feel much more confident speaking with them about what I am doing. Looking forward to order it!!! Thank you Steve. Just read the book having ordered it from Amazon last night after seeing it featured on a Facebook page for chronic pain sufferers such as myself. Have had lower back pain for over two decades and am walking around on crutches having had one total knee replacement and waiting for the other one to be done. My first reaction? Tears, but then as most pain sufferers know tears are never far away………. I have been giving a copy of your trauma book to just about every client I see presenting with PTSD-like symptoms whether they have been submitted to more recent and acute or complex trauma. Will also be using it as a resource for my students, and we all thank you for your beautiful work!! A very useful and accessible book and resource – thank you. I have just read it all in one sitting and am now going trough it again and reading the foot notes. I will go through the reference list when I have the time. I have CRPS & fibromyalgia, so chronic pain problems, and a friend pointed this book out to me – and what a revelation it is. It picks up on so many things that have been suggested to me on a Pain Management Programme, by physios, and in pain clinic, but in a way that makes do much more sense and with such clarity. And, as a lover of graphic novels, I love the format. Fabulous book. Excellent books that will come in very useful with my clients experiencing chronic pain, and those who live with the effects of trauma. Simple, graphical gems that put concepts in easy to understand language.